How does Motorola’s newly introduced DROID Turbo stack up against the rest of its phones from this year, like the Nexus 6, Moto X (2nd gen) and Moto G? Quite well actually. In fact, one could argue that it bests all of the other phones from Motorola, including the Nexus 6. 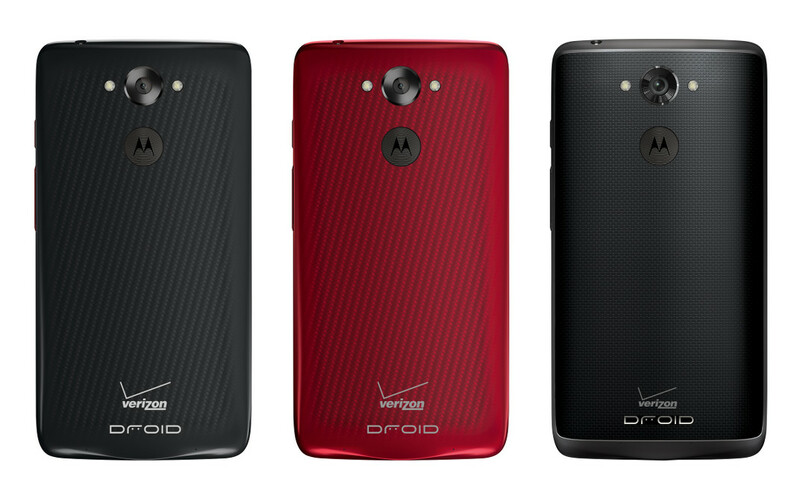 The DROID Turbo (full specs) is as powerful as it gets for a modern day smartphone. It features all next-gen specs like a 5.2-inch QHD display, Snapdragon 805 processor, 3GB RAM, massive 3,900mAh battery, and a 21MP camera. The Nexus 6 matches it in most of those areas, but it’s the size of the Nexus 6 that could be a killer – it’s just too damn big. The Moto X (2nd gen), even though it was released just a month ago, lacks the newer processor and QHD display, along with wireless charging and a higher MP camera. Now, we are fully aware that specs aren’t everything. When deciding on which phone is the top dog, you have to look at specs, but you also need to look at the phone’s overall design, if it has on-screen or capacitive buttons, how updates to it will work, and availability. 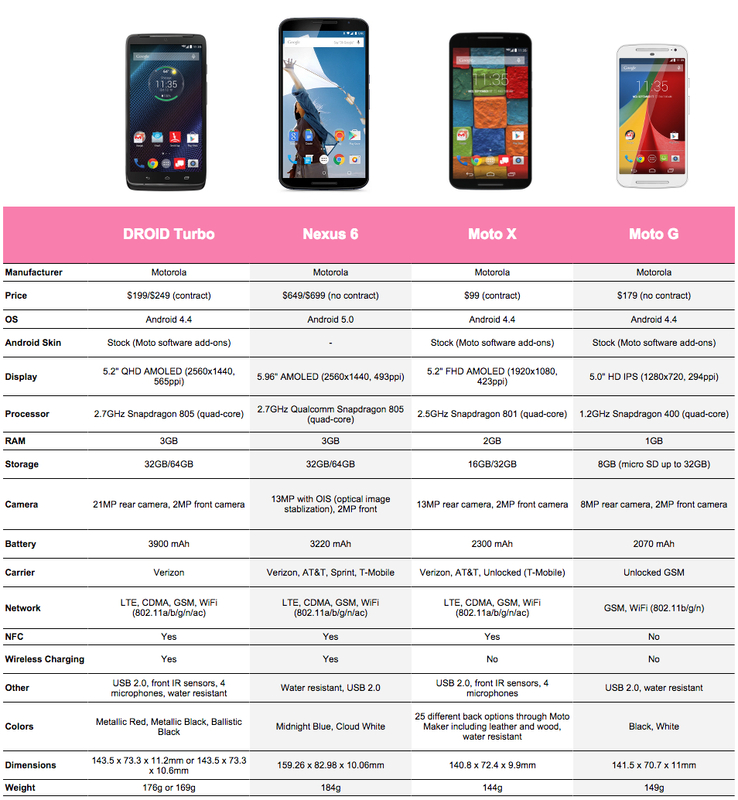 And it’s those few things that still helps the Moto X and Nexus 6 beat the DROID Turbo in the minds of many. The Moto G, obviously, isn’t meant to compete, but we thought we should include it. What do you think? Which phone are you picking? Who would win this battle?